Need ideas to head out with the kids this weekend? We’re here! We know exactly what you need, be it workshops, camp outs, storytelling sessions and more. Enjoy the weekend, parents! Let us help you make the most of it! BuzzingBubs is your go-to guide for things to do with kids in Bangalore and the best activities for kids in Bangalore. 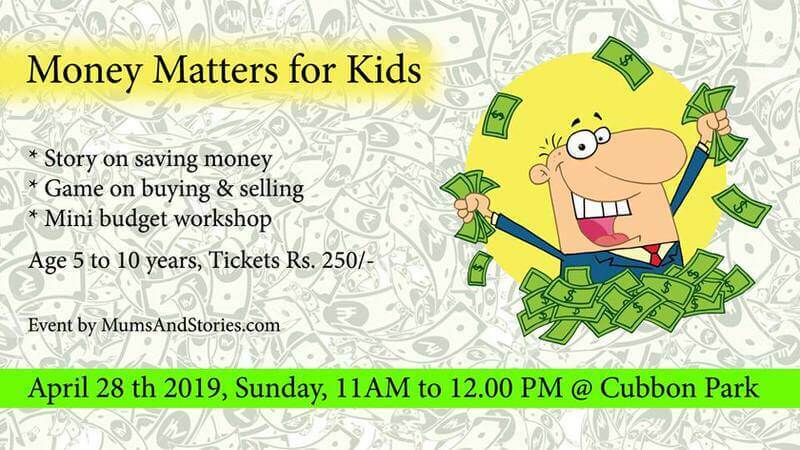 Events in Bangalore for kids? Workshops for teens? Fun for the family? It’s all here! Easter weekend is here and there are plenty of grand feasts happening across the city! Indulge in a scrumptious festive meal and celebrate with your family! If you’re looking for other fun things to do, then check out the puppetry workshop, glass painting workshop, breakfast discussion for kids on the effects of electronic gadgets, movie screening of Paper Planes and the heartwarming children’s play, Manya Learns to Roar! There’s plenty of fun things to do this weekend. So, scroll through and have a happy one folks! This is a curated list. If you’re looking for specific events in your area, do check here. Are you hosting or conducting an event for kids in Bangalore? Would you like to list it with us? Do get in touch with us with complete details regarding the event, including venue, date, location, ticket cost (if applicable) and age group. 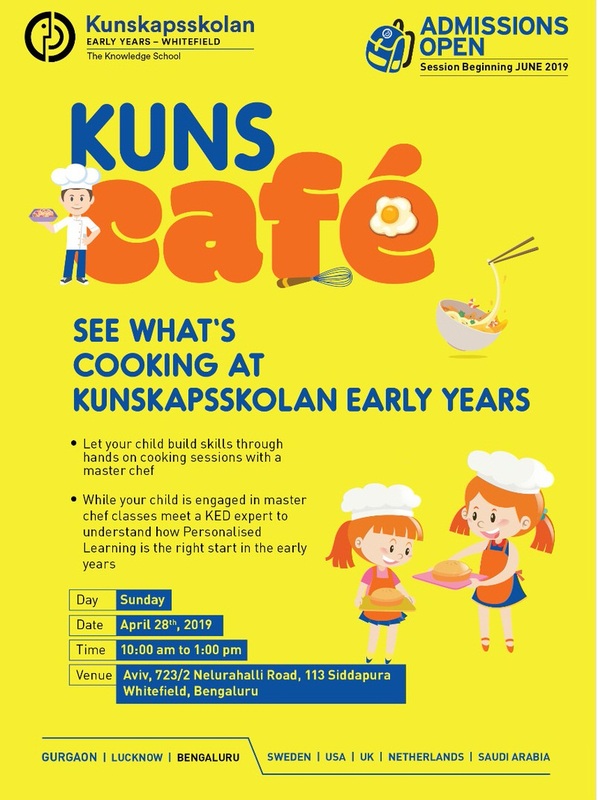 Kunskapsskolan Early Years invites your kids to don the chefs hat and learn some skills the Masterchef way! Experience the KED program first hand and explore the newly opened campus in Whitefield, as your kids learn to cook some tasty and healthy treats. Learn to create beautiful images from repetitive patterns through Zentangle. It is a fascinating new art form that is fun and relaxing. It increases focus and creativity. 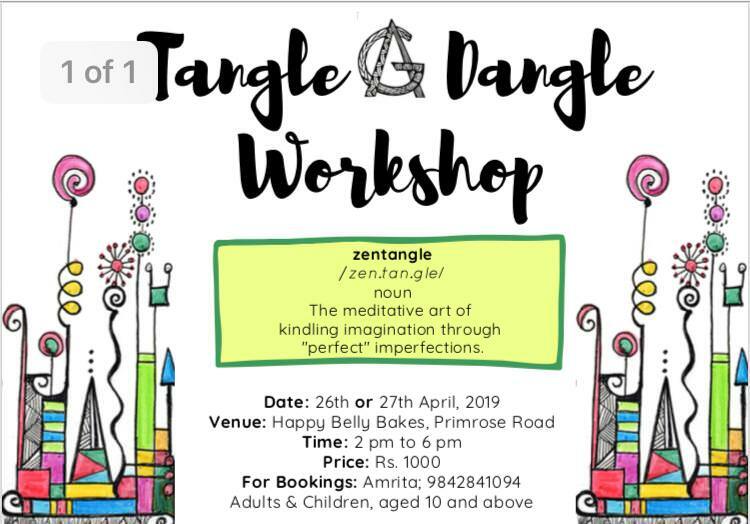 Zentangle provides artistic satisfaction and an increased sense of personal well being. 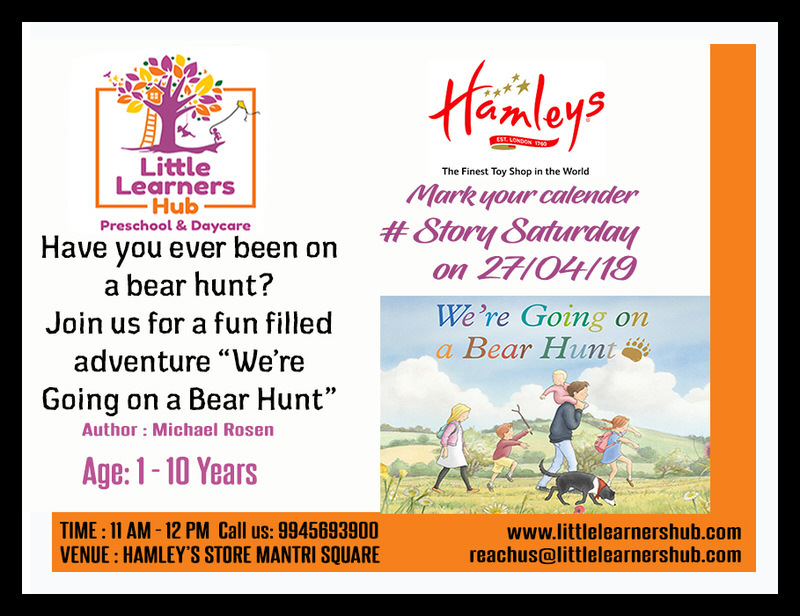 Join Little Learners Hub as they conduct a Read Aloud Story Session at Hamleys. Reading out “We’re Going on a Bear Hunt” for the children followed by an activity. Children will be engaged in making bear face and paws using paper plates. 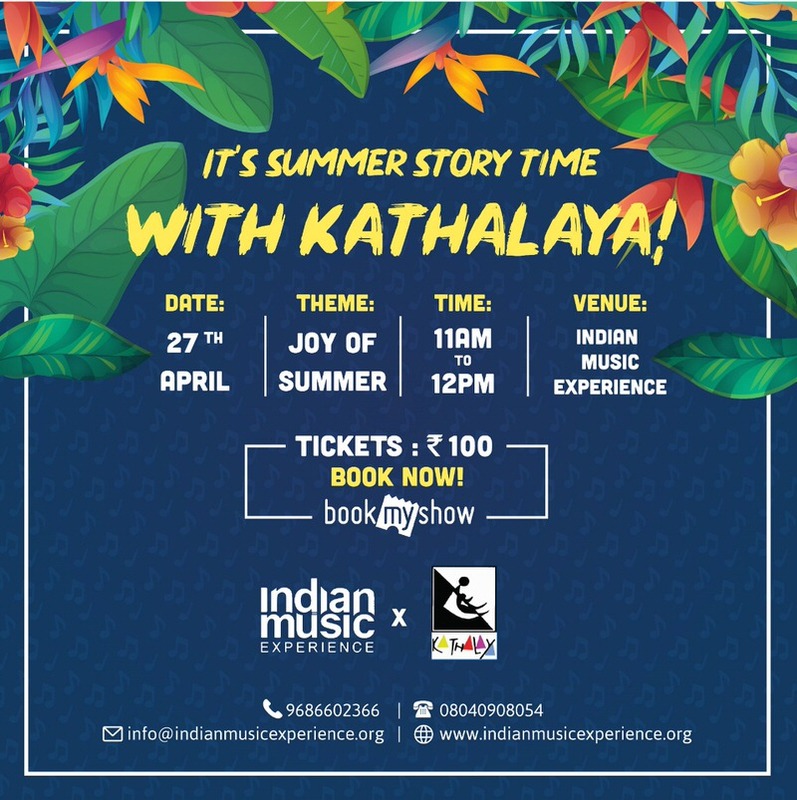 Indian Music Experience and Kathalaya present Summer Story Time. The theme for this event is "Joy Of Summer". Enjoy some story time and spend a day at this one of a kind music museum! The Organic World is hosting an event on Healthy Lunch Ideas for kids. Learn the importance of nutrition and a healthy diet from Ms. Akshata, a certified nutritionist and Dietitian. 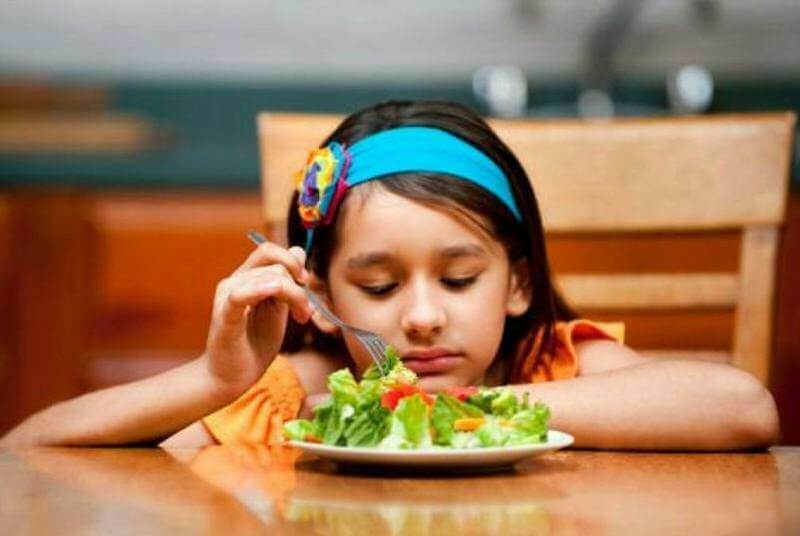 Get an insight on the recommended dietary allowance for kids and the importance of cooking food with choice of ingredients that will influence your child's growth and development. Worried about your Child's screen time? 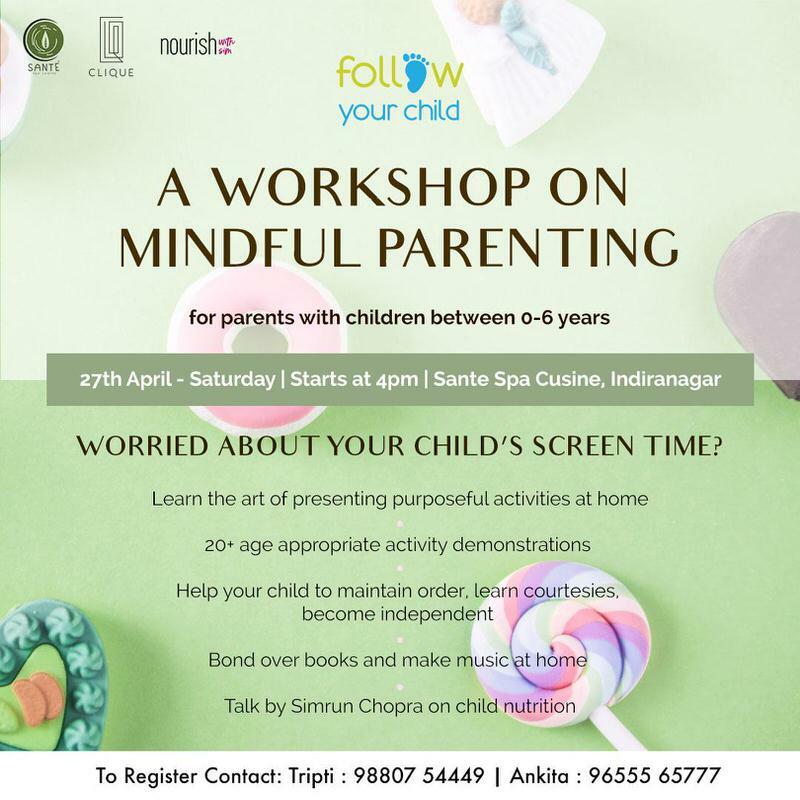 Register for the Workshop On Mindful Parenting at Sante Spa Cuisine. Learn the art of presenting purposeful activities at home. Moreover, help your child to maintain order, learn courtesies and become independent. Bond over books and make music at home. How Cow Now Cow, which premiered in 2015, has completed over 110 shows in schools, bookstores, homes, alternative spaces, children's festivals and auditoria since the last 4 years. The team is closing the play and ending this beautiful journey with the last two shows at Shoonya. So don't miss it! 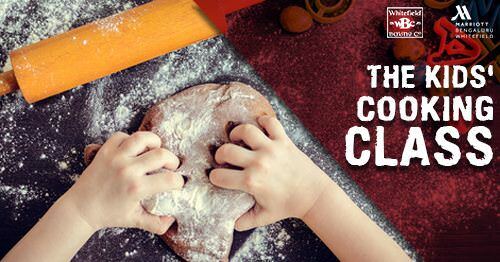 Experience the sweet charm of children baking mouth-watering delicacies at the The Little Masterchef’s Class. There will be a class on last Sunday of every month at Whitefield Baking Company. So Join them for the love of baking! 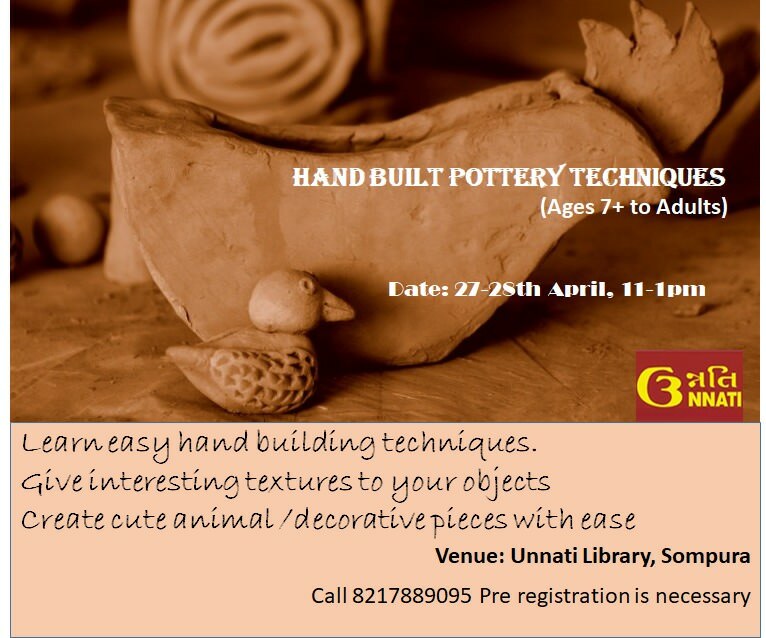 Unnati Library is hosting an interactive Hand-Building Pottery Workshop. Bring out the child in you as play with clay and make beautiful forms using simple and easy methods to modelling. Moreover, hand-building techniques will help you understand how to form shapes with no use of tools and machines. Mums and Stories brings you another differently themed event Money Matters for Kids. Isn't it important for all of us to discuss, talk on expenditure, planning and of course savings? Listen to a story on saving money, play a game on buying, selling and saving money. 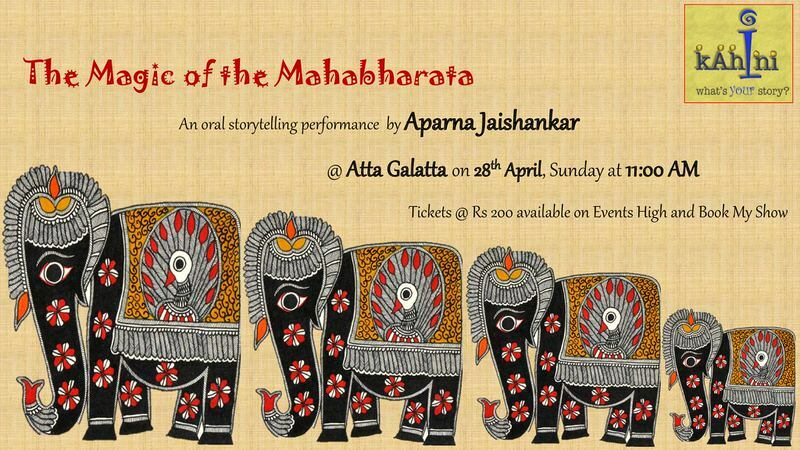 Join Aparna Jaishankar as she takes you through the Magic of Mahabharata, one of the greatest stories ever told! An epic that is filled with stories of strife between cousins, of curses and boons, of magical weapons and miraculous twists of fate. Come over with the whole family for an hour of listening to oral stories. 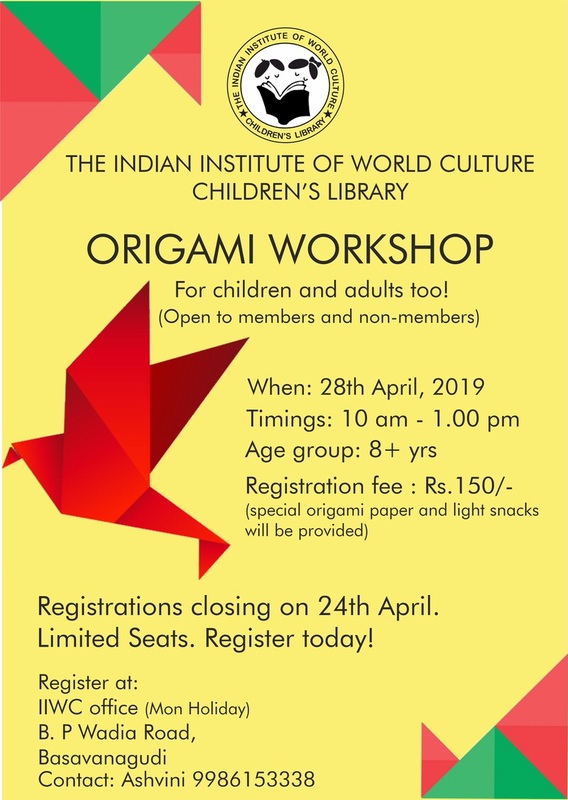 The Indian Institute Of World Culture is conducting an Origami Workshop for kids and adults as well! So parents and little ones can get together and create an art of their own. Indulge in a day full of creativity and enjoy some light snacks as well. 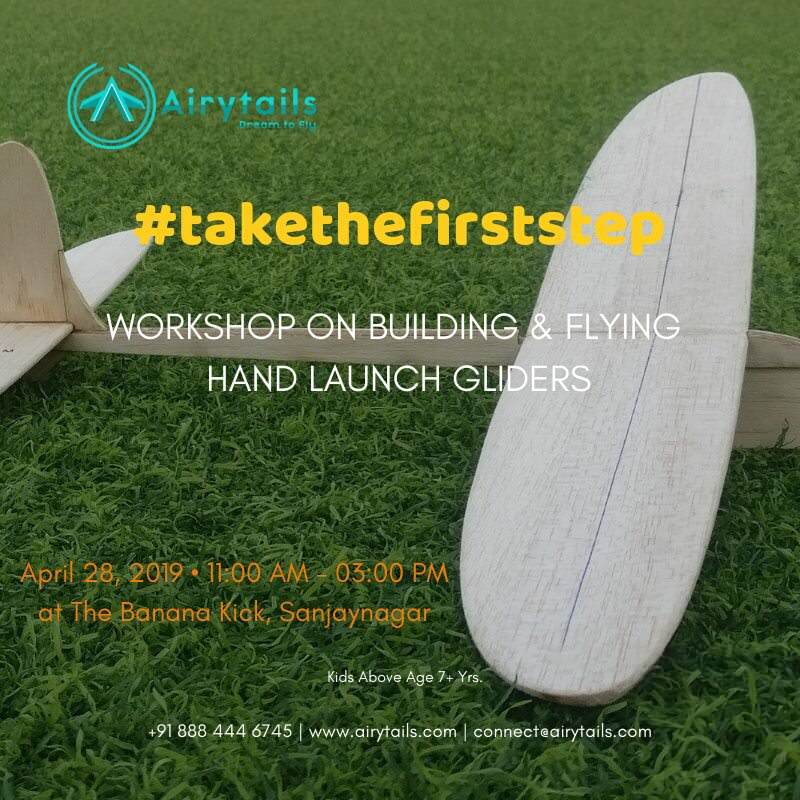 AiryTails present an exciting workshop on Building & Flying Hand Launch Gliders from scratch using balsa wood kits. The workshop aims at laying a strong base for aerodynamics, flight dynamics, and aero-structures involved in aircraft design. In addition, they will also teach the art of making and flying paper planes. 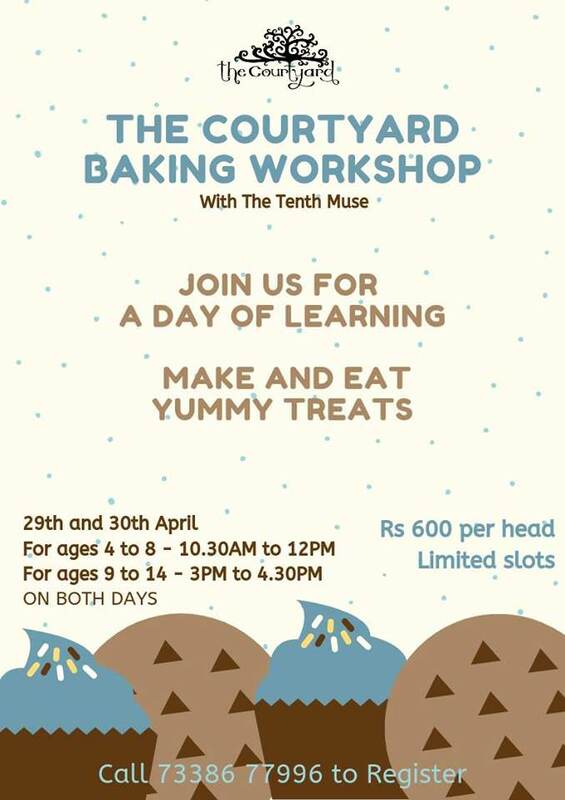 At The Courtyard Baking Workshop, learn how to make fun treats like cupcakes and cookies in an assortment of flavours, shapes and sizes, which you can devour after the workshop is over.